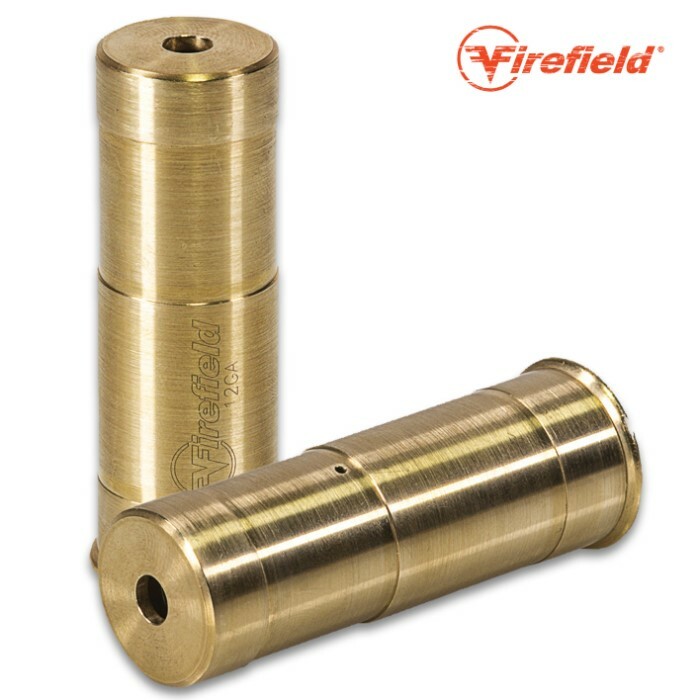 Firefield 12 Gauge Laser Bore Sight | BUDK.com - Knives & Swords At The Lowest Prices! The Firefield Laser Bore Sight provides the most convenient and accurate method for sighting in weapons of all types. Simply chamber the bore sight like a regular bullet and a laser dot will show exactly where the weapon is aiming; it&apos;s easy to sight in any scope without firing a single shot. Live fire is only needed to fine-tune the weapon being sighted in order to compensate for inconsistencies, such as bullet drop due to distance.